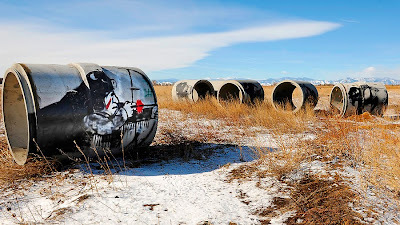 I don't go on the north end of town much, so I missed seeing this until the Denver Post pointed it out this morning. 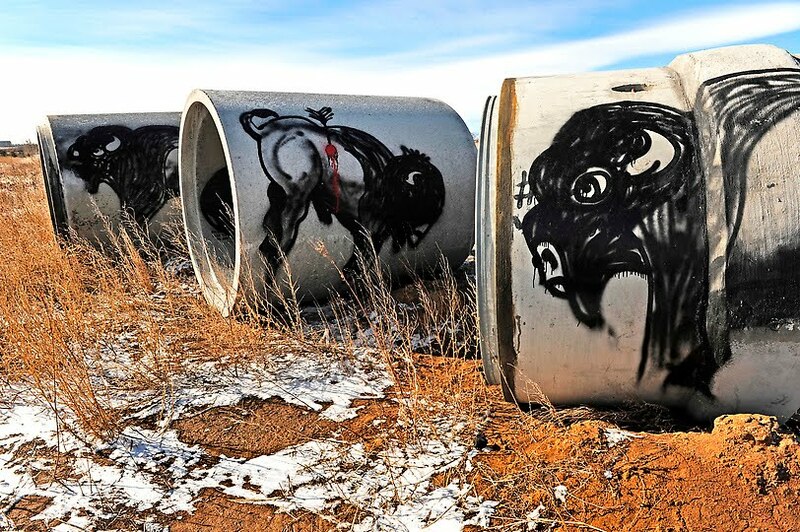 An unknown graffiti artist calling himself/herself "Karma" used abandoned concrete culvert segments located just off of I-25 in Westminster, as a canvas to paint an Indian bison hunter and his quarry. Apparently it's been there about a year. I like the bison better than the hunter. Not a typical tagger theme. Is this a political statement? 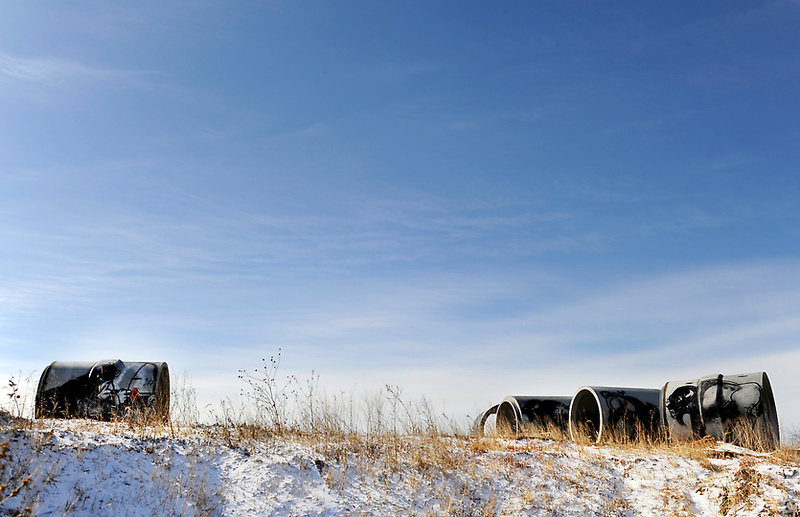 I drive that stretch of road about once a year -- wonder if they will still be there the next time I come through! I doubt it, Mr. Clifton. Culvert Bison are nomadic, as are the tribes that subsist off them--I'm sure they will have long since rolled on....L.B.